for contributing this powerful article. The Word of God is designed to create life. 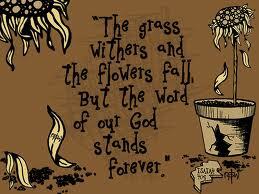 The Word of God brings life to everything that is dead. In the Old Testament the Prophet Ezekiel spoke to dry bones, according to the Word of God, and these bones came together and formed an army. The Word of God, in itself, is alive. Fresh revelation emanates from any verse of Scripture at the different times that it is pondered. The Word is a shield and a weapon against the enemy. It refutes and destroys every lie of the devil. Jesus showed us how it is done when the devil tempted Him in the wilderness after His 40-day fast. The Word of God is truth, whereby, as the Word is spoken every error and lie is exposed. 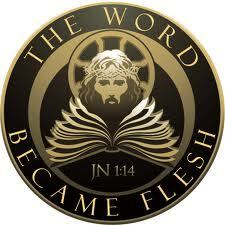 Jesus Christ is the Word that was made flesh. 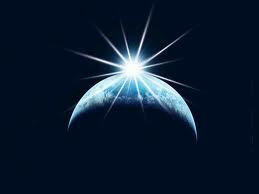 He came to earth as the Word to reconcile us to God as we follow Him. The Word was designed that way. It gives instruction; it points us to life according to God’s law. 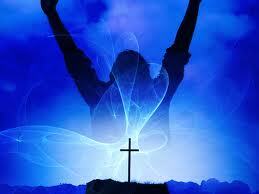 The Word tells us that even if our father and our mother forsake us, the Lord will take us up - Psalm 27:10. The Word of God brings deliverance. The Word of God is the answer to all questions concerning life and the life that is more abundant. The Word of God is the source of peace. One Word from God is able to bring peace to any troubling and stressful situation. We are commanded through God’s Word to “Be still and know that He is God”. What an assurance and a comfort! I remember when we first moved into our new home in February 2002. My husband and I were convinced that the Lord provided that dwelling for us, since it was amazing the way that we got it … without much money in our pockets. A couple of months down the road, we experienced really bad weather and the river at the end of our street overflowed into the lower part of the street, and was creeping up the street towards our home. The river rushed through about three or four houses. The raging waters burst through the glass doors and destroyed all the contents of the lower floors including refrigerators and stoves and deposited loads of silt and debris into the homes. Our home was untouched, praise God, but because of the level of destruction, my husband and I were really troubled and wondered if we had missed God. Then, as my husband consulted with the Lord, Psalm 46 rested on his heart. I could not believe the accuracy of this Word! That settled it for us and even when there was another similar occurrence, we were at peace concerning our home only because we got a Word from God. 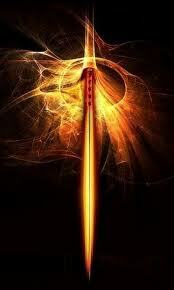 The Word of God also comes as a sword. It pierces the hearts of men and brings conviction of sin unto salvation. The Word says that when it goes forth, it is likely to bring variance with man and his relatives. The Word causes this variance when it falls upon hearts that are not receptive to the truth that is in the Word. The truth of the Word exposes men’s hearts when these hearts are full of bitterness and hatred. The very Word of God was crucified because His mission was about exposing truth – the truth of the Kingdom of God. I realize that the Word is still being crucified today, since one can speak and pray in any other name freely but never so when we speak and pray in the Name of Jesus. We can read or teach on any hellish book and never be crucified or condemned for doing so - except for when we attempt to read or to teach from the Holy Bible. As the Word went forth through the disciples of Jesus, there were multitudes who believed and became disciples themselves, but in the midst of these converts were those who opposed the very Word, and moved to spew lies and to fabricate all sorts of stories to prevent others from readily accepting this Word of Life. And the word of the Lord was published throughout all the region. But the Jews stirred up the devout and honourable women, and the chief men of the city, and raised persecution against Paul and Barnabas, and expelled them out of their coasts. Noah also received a Word from God to build an Ark and to fill it with his family and with pairs of each animal kind because He, God, would be sending a flood. The people scoffed and laughed at that Word from God, because they could not relate to it. 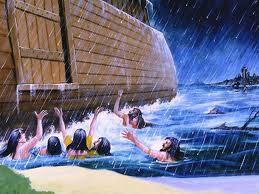 God said to us in His Word that in the last days, it will be as in the days of Noah. I am certain that believers who are now reading this would testify to the fact that many we have witnessed to do not take heed of the call to salvation, and they have scoffed and criticized that very Word of God. But we must not be daunted as believers but we should rather do what the Word says when we are faced with such ridicule. We ought to shake the dust from our feet and move on. I have realized through the very Word that though God loves everyone, all were not ordained to eternal life. To those of you who are now reading this, and have not yet accepted the call of God to follow Jesus, I urge you to accept the Word of God as it is preached according to the Holy Book, the Bible. The Word is truly the power of God unto salvation to them that believe. For I am not ashamed of the gospel of Christ: for it is the power of God unto salvation to every one who believes; to the Jew first, and also to the Greek. This Word carves the pathway for us to enter into to eternal life. Without it, we will go to Hell, which by the way, is a real place of torment ….. for eternity. I urge you not to resist what the Word says. As the Word goes forth, listen to it and just believe it for what it says and then move to do it. The Book of James 1:21-24 says that if we hear the Word and not do it we deceive our own selves. Therefore lay aside all filthiness and overflow of wickedness, and receive with meekness the implanted word, which is able to save your souls. But be doers of the word, and not hearers only, deceiving yourselves. For if anyone is a hearer of the word and not a doer, he is like a man observing his natural face in a mirror; for he observes himself, goes away, and immediately forgets what kind of man he was. Why not make a decision to adhere to the Word of God as it goes forth, and then prove God at His very Word as He begins the work of transformation in your life, and as He sets you on the pathway of eternal life in Christ Jesus. I completely agree! This was truly God-inspired! This article is riveting. It is powerful, relevant and simply awesome. The word of God is powerful, it's inconceivable to the natural mind. Wow, this has really refreshed my Spirit. God Bless you Aunty. I was trying to figure out the problems that I am faced with and lo, God sent me the answer through you. To God be the glory, forever. Thank you! "For I am come to set a man at variance against his father, and the daughter against her mother, and the daughter in law against her mother in law. And a man's foes shall be they of his own household." The word of God truly is powerful. Just recite it and Satan flees! Read it, and be encouraged. Amen!!! Wow, you packed a lot into this post. We do serve a mighty God. Thank you for all these examples. What a blessing we have in God's Word! Whatever we face, the Word of God there with direction, inspiration, encouragement and instruction. "Oh how I love thy law."